Despite overwhelming evidence of his innocence, Lebanese Canadian professor has spent three years in French prison. Toronto, Canada – Hassan Diab’s handwriting does not match the suspect’s, nor does his physical description, fingerprints or palm print. 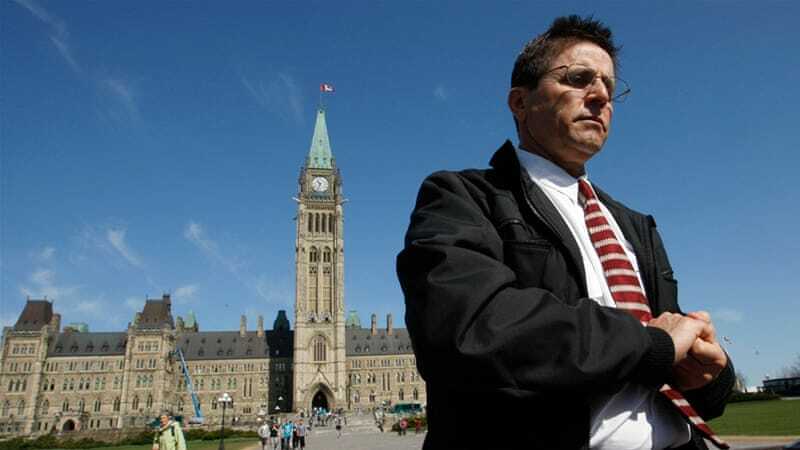 Despite overwhelming evidence of his innocence, Ottawa professor Hassan Diab is now entering his fourth year in solitary confinement in a maximum-security prison in France without charge or trial. The case has been compared with the infamous Dreyfus affair, a 19th-century miscarriage of justice involving the treason conviction of a French artillery officer. Diab, a Lebanese Canadian, remains the only suspect accused of involvement in the 1980 synagogue bombing in Paris that killed four people and injured dozens. He was arrested in 2008 in Canada at the request of French authorities and placed under draconian bail conditions before his extradition. French investigative judges have repeatedly stated that there is “consistent evidence” that Hassan was in Beirut, not Paris, at the time of the attack. Official documents and many witnesses have confirmed that Diab was studying and writing his university exams in Beirut at the time. The investigation confirmed that his passport was stolen and used by somebody else. The fingerprints and palm print found on a hotel register and in a car used in the attack do not match Diab’s either. The suspect has been described as a man aged between 40 and 45, but Diab was 26 years old at the time. Diab, now 64, has always maintained his innocence. Canadian extradition judge Robert Maranger found the evidence presented against Diab by French authorities in 2014 to be “very problematic”, “illogical” and “suspect”. However, due to the low threshold in Canadian extradition law, the judge was compelled to order Diab’s extradition in November 2014. Four different French judges have ordered Diab’s conditional release eight times in the last 18 months but the French Court of Appeal overturned the release each time, most recently last month. “It’s been very difficult to ascertain why French authorities have continued with such a harsh position on this case while the investigating judge, who has been probing only, seems to become more and more convinced that he is very likely innocent,” said Alex Neve, the secretary-general of Amnesty International Canada. Rania Tfaily, Diab’s wife and a professor at the University of Ottawa, has been campaigning the Canadian government for her husband’s release for the past three years, but remains frustrated by the response. “[Canadian officials] say they have been raising concerns about the case, but the end result is the same. Whatever they are doing is clearly not enough, because Hassan continues to be detained,” Tfaily said. Diab has been living in harsh conditions, kept in solitary confinement for 20 hours a day. Since his imprisonment, he has lost 15 pounds and suffers from back pain, arthritis, nosebleeds and a myriad of other health problems. “It’s very hard to maintain one’s mental, cognitive and psychological senses when one is deprived of what makes us human … He has little, if any emotional, social, psychological support,” Tfaily said. Elizabeth Reid, a spokesperson for Global Affairs Canada, told Al Jazeera via email that Canadian officials have engaged their French colleagues “regularly on this case”, noting that Prime Minister Justin Trudeau has raised it with French President Emmanuel Macron. Diab’s French lawyers say they believe he is being detained for political purposes, in order for France to appear tough on “terrorism”. Diab is one among many individuals who have been wrongly imprisoned in the context of national security in the post-9/11 climate, Neve noted. Hassan is going to spend the rest of his life in prison and die there if we don’t continue with our campaign exposing the injustice. “Canada is obviously reluctant to be openly and publicly critical of a country that is a close ally. Canada is also giving France the benefit of the doubt that its legal system is going to handle the case,” Neve said. In late July, French investigative judges announced that their investigation was over. But Diab’s case took another turn in late September, when officials from the Israeli secret service met French investigative judges and offered their support to charge him instead of releasing him. “Officials of a foreign state have intervened to keep the case against Dr Diab alive at any cost,” stated a press release from the Justice for Hassan Diab support group. This week, it was revealed that the French prosecutor has asked the investigating judge to put Diab on trial based on secret, unsourced intelligence. The judge will make a decision in the coming weeks as to whether Diab will be discharged or sent to trial. “Such a trial cannot be allowed to happen to a Canadian citizen, much less one who, according to the evidence gathered by the investigating judges, was not even in France at the time of the crime,” noted Diab’s lawyer in Canada, Don Bayne. As Diab continues to languish at the Fleury-Merogis prison in the southern suburbs of Paris while the 37-year-old investigation continues, Tfaily, a mother of two young children, fears that her husband might die in prison. She is determined to continue campaigning on his behalf. “It leaves me drained, so tired. Why does this keep happening to him? It’s been over nine years,” Tfaily said. “Nine years that was taken from his life, from our life and despite all of the evidence of his innocence. It’s really hard.